Players entered WPT Maryland in a multitude of ways, but no one qualified for less than Clayton Fletcher. The stand-up comic from New York City won his seat through a freeroll on the Maryland Live! casino Twitter page. Fletcher managed to have his golden ticket found among roughly 500 entrants and is still alive entering the latter stages of Day 2. Fletcher was at Live! Casino for a few of the tournaments at the start of the WPT Maryland series and made the trip back town after having his name drawn. Fletcher was introduced to poker by his mother, Carol, who Fletcher says was a cash game professional up until a year ago. His household growing up was filled with games and when Fletcher enters a tournament, his primary goal is do more than just make the money. Although he’s already turned a tweet into at least $6,000, Fletcher has his eyes set on a much larger prize. Coming into this week, Fletcher’s tournament résumé featured a respectable $160,000 in cashes with a top-100 finish in the 2015 World Series of Poker Main Event his best result. 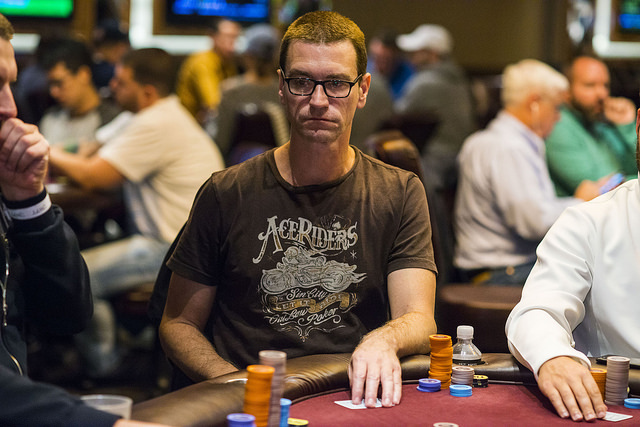 Fletcher credits that event for helping him wade through the WPT Maryland structure so far through two days of play. Should he win this week, don’t expect Fletcher to work more poker into his act. Fletcher shies away from the subject, given his audience, but thinks fondly of a day when he can perform for poker players. Day 2 is near an end and Fletcher is just getting ready for his closing act. In his first career WPT cash, Fletcher is making the most of his free chance at the Champions Cup and a win would make his poker fantasies become reality.